Connemara Peated Single Malt Irish Whiskey is a popular Irish Whiskey available from DrinkSupermarket.com in 70cl to buy online. 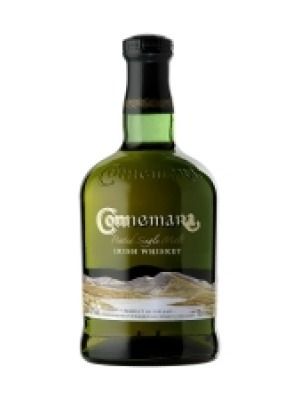 Visit DrinkSupermarket.com for the best price for 70cl of Connemara Peated Single Malt Irish Whiskey or compare prices on our other Irish Whiskey products. Fair colouring gives a nose of smoky peatiness matched by heather floralness with traits of honey and oak. On the tongue it's silky glossy with a honeyed start, followed by more intricate fragrance of malt and fruit giving way to the intensifying full bodied peat. A well-balanced yet complex feel with vanilla oak notes giving way to a lengthy and glorious finish. Where to buy Connemara Peated Single Malt Irish Whiskey ? Connemara Peated Single Malt Irish Whiskey Supermarkets & Stockists. You can buy Connemara Peated Single Malt Irish Whiskey online in most retailers and find it in the Irish Whiskey aisle in supermarkets but we found the best deals online for Connemara Peated Single Malt Irish Whiskey in DrinkSupermarket.com, Amazon.co.uk, TheDrinkShop, and others. Compare the current price of Connemara Peated Single Malt Irish Whiskey in 70cl size in the table of offers below. Simply click on the button to order Connemara Peated Single Malt Irish Whiskey online now.